When Dylan Thomas first visited Laugharne in 1934, he described it in a letter as ‘the strangest town in Wales’, and later in a radio broadcast, as “this timeless, beautiful, barmy (both spellings) town…a legendary lazy little black-magical bedlam by the sea”. 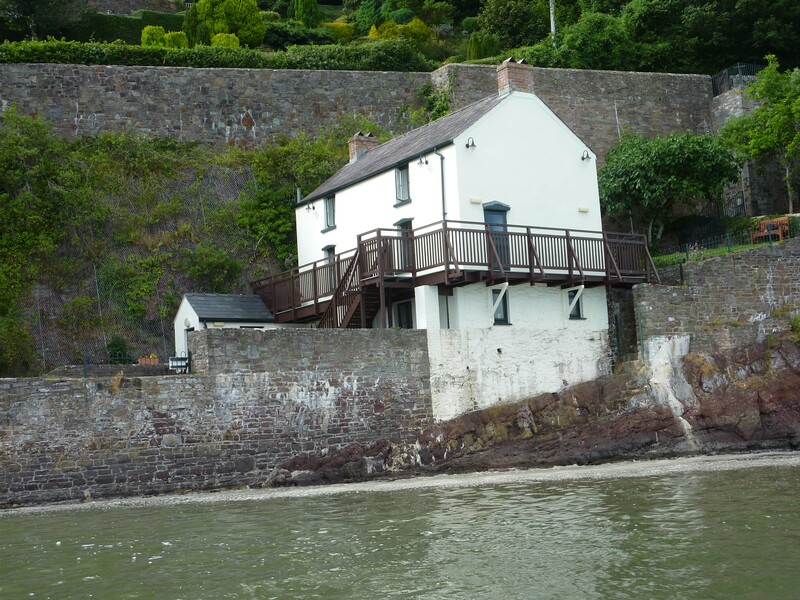 The town held a fascination for Thomas and he was a frequent visitor, living in a series of Laugharne properties before settling there, at his final home, the Boathouse. 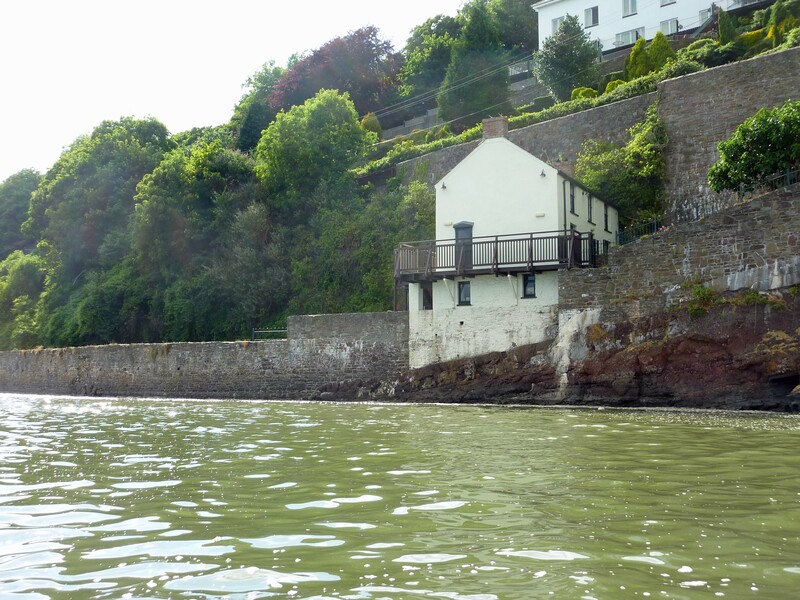 The Boathouse, and the nearby writing shed, where Dylan Thomas worked, keep watch over the Taf estuary, observing the daily rise and fall of the waters, and the ever changing views across to Sir John’s Hill, and into rural Carmarthenshire. And it is here, at the Boathouse, that we meet, a band of intrepid literary adventurers, here to paddle and drift across the landscape that inspired Wales’ great poet. The tour is the latest in a series of innovative and inspiring literary tours arranged by Literature Wales, and an appetizer for the Dylan Thomas Odyssey events being planned as part of the celebrations for the Dylan Thomas centenary in 2014. The tour starts on the patio of the Boathouse, with an introduction from Dr Bronwen Price of Literature Wales, and she hands over to our tour leaders, the leading Dylan Thomas experts, Professor John Goodby of Swansea University, and Jeff Towns, the bookseller, Dylan Thomas collector, and chairman of the Dylan Thomas Society. We hear how the stunning landscape that can be seen from the Boathouse can claim to be a cradle of Welsh literature in English, and Jeff Towns illustrates the point with the display of original literary publications that feature writers who had connections to the area, such as Keidrych Rhys, Lynette Roberts, Alun Lewis, and of course Dylan Thomas. 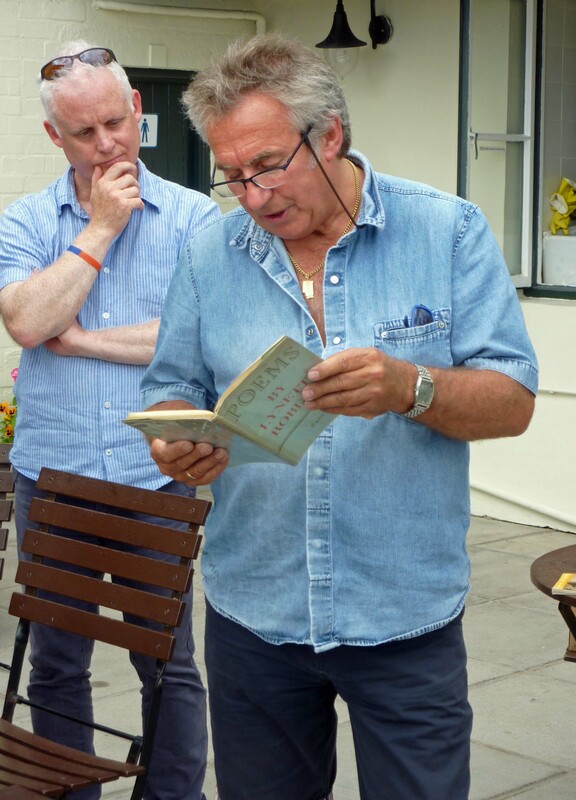 There is a reading of Lynette Roberts’ beautiful poem addressed to fellow poet, Alun Lewis, “Poem From Llanybri”, and so the relaxed and informative tone is set for the rest of the tour. 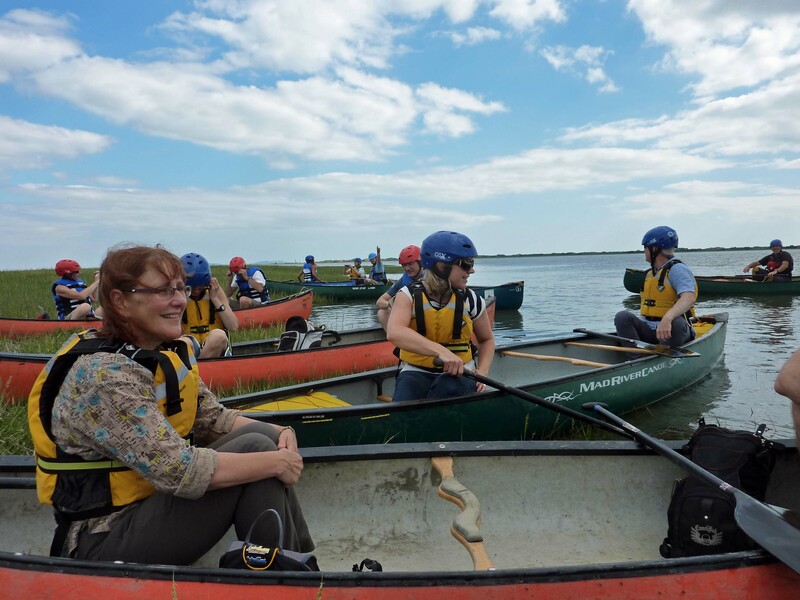 With the weather set fine and the breeze rippling the waters of the estuary, we make our way down past Laugharne Castle to the harbour, and a rendezvous with our canoe guides. After a short induction course we nervously don our safety gear, and we brave literary pilgrims launch ourselves out into the holy waters of the Taf. Five minutes of simple instruction and we’re off out into the main channel, the canoes surprisingly stable and manoeuvrable as we edge out into a cauldron of beauty. With Sir John’s Hill close to our right, it suddenly becomes apparent that we’re paddling through the landscape of some of the finest poetry that Thomas produced. It’s an awe-inspiring realisation. The crossing turns out to be surprisingly straightforward, and from rookie canoeists we’re transformed into the “fur-capped and moccasined trappers from Hudson’s Bay, off Eversley Road” of Dylan’s “A Child’s Christmas In Wales”. We reach the far side of the estuary and our boats nuzzle into the salty grasses of the shore, and we can rest. We are in new territory, with previously unseen views of Sir John’s Hill, and the Boathouse. We’re treated to readings of “Over Sir John’s Hill”, and “Fern Hill”, the perfect lyrical evocations of the landscape we’re experiencing at first hand. In the water around our boats are tiny crabs and water bugs. It’s a moving and once in a lifetime experience. 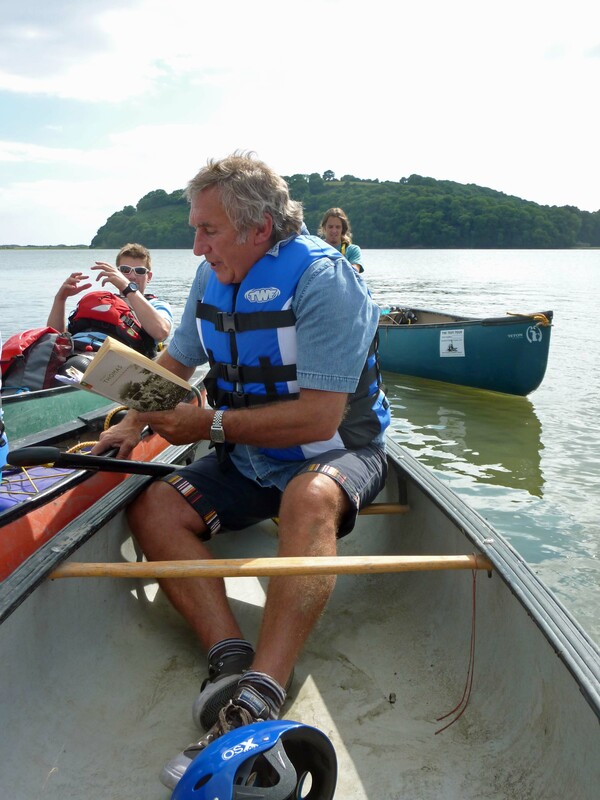 Suitably nourished by the words of the bard, we begin our return crossing , the tidal river encouraging us firmly seaward as we paddle towards the Boathouse. We listen to a recital of Dylan’s ‘”Poem in October”, and as we raft up and drift past his “house on stilts” and the writing shed, the words of the “rhymer in the long-tongued room” have never seemed more poignant. 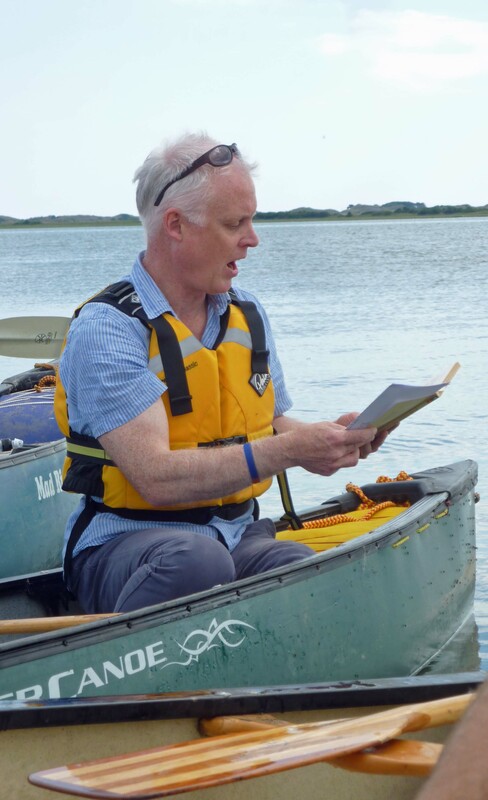 A final current defying turn back into the safety of the channel under the watchful eyes of our canoe guides, and we now expert paddlers are back on dry land, at the end of a never to be forgotten voyage of literary discovery. The only thing left to do is to head off to Dylan’s old local, Browns Hotel, for a celebratory drink, and get the 2014 diary ready for those Dylan Thomas Odyssey dates.